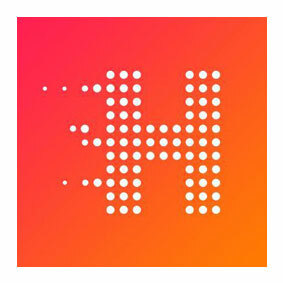 Hurricane is a video strategy agency based in Bristol, specialising in video marketing and a range of production techniques, such as 360-degree video, animation and emotional storytelling. They create films for world-leading brands, public bodies and international agencies. We’ve been working with Hurricane since 2013, initially auditing their website and recommending a range of on-page optimisation efficiencies to raise the visibility of their key product pages in the SERPs (Search Engine Results Pages). After just two months, all of our targeted keywords were showing positive results, and after three months Hurricane was ranking on the first page of Google for all but one of the target phrases – appearing in positions one and two for the majority. The second phase of the strategy was to develop a strong link building and content marketing campaign that would open Hurricane’s work up to a wider audience and reinforce their healthy search engine presence. Our strategy has been to regularly place thought leadership articles on high-quality websites that offer marketing and business advice – giving Hurricane a platform to showcase their expertise in front of peers and potential clients. For example, we published ‘7 Video Marketing Hacks for Social Media’ with Adweek, and ‘Harnessing the power of nonlinear video marketing’ with the Chartered Institute of Marketing – both hugely influential websites that carry a lot of weight in terms of readership and SEO; they’re frequented by the right people (potential clients), and achieving citation links from these authoritative sites looks great in the eyes of Google – helping to boost search rankings. Over the course of our partnership, we’ve published over 150 articles on a range of niche focused sites, and we’re still finding new opportunities each month. Consistency is key, and by securing hundreds of high-quality links and thousands of social media shares, our strategic content marketing campaign means the website is now generating significant business as a direct result of organic search. We regularly research new article ideas in keeping with Hurricane’s evolving business goals, and collaborate with Jon and his team to create detailed synopses to pitch to target publications. Our insight into outreach marketing means we know exactly the type of content that will tickle the fancy of premium publishers, so wherever possible we also work with Hurricane on ideas for video content to promote their services without coming across as advertorial. We then placed accompanying articles on various media outlets including ‘Why You Should Question Most Video Marketing Stats You See’ for Contently – one of the biggest content marketing websites in the world. The video has achieved thousands of views, helped to reinforce Hurricane’s position as a company that does things the right way and also shows off their animation skills. Our consultancy work has extended to monthly calls to discuss website issues and ensure that every web page is optimised for success. The success of the SEO work we have done with Bespoke Digital has delivered a sharper than expected rise up the search engine rankings. The phone is ringing with incoming calls and this work has been a key part of the process to make this happen. 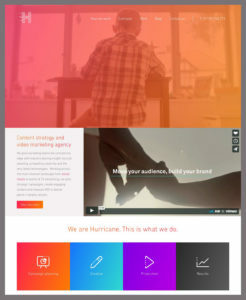 Our expertise at SEO and content creation has helped Hurricane stay competitive, raise their authority and grow their audience with website enquiries leading to a significant portion of their work. If you’re keen to learn more about how we can do the same for you, please contact us for a free consultation.